Product prices and availability are accurate as of 2019-04-20 07:56:24 UTC and are subject to change. Any price and availability information displayed on http://www.amazon.com/ at the time of purchase will apply to the purchase of this product. 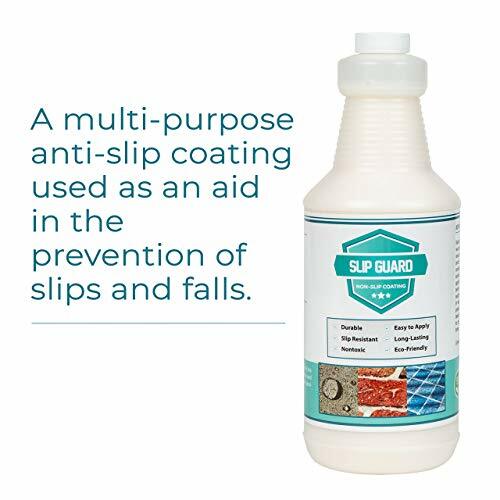 Slip Guard multi-purpose anti-slip coating is used as an aid in the prevention of slips and falls. This product adheres to concrete, tile, brick, porcelain, fiberglass/acrylic and more. Surfaces must be free of dirt and debris and cleaned prior to application by power washing or scrubbing with a hard bristle brush and cleaning agent. 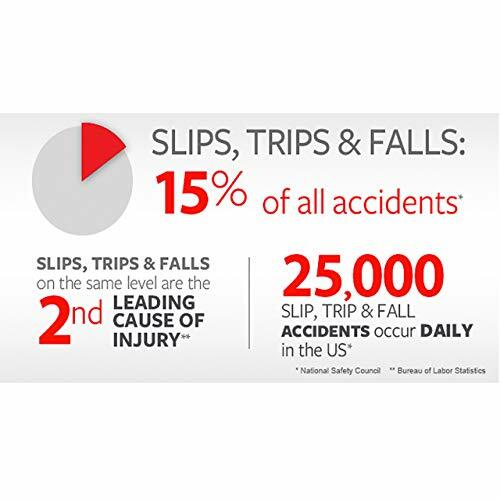 Easy application, using a roller, creates traction on potentially slippery surfaces. Not intended for use on wood surfaces. Coverage area up to 75 feet. ENVIRONMENTALLY FRIENDLY: Helping our environment endure is one of our core values. We focus on quality products that have less impact on the earth. 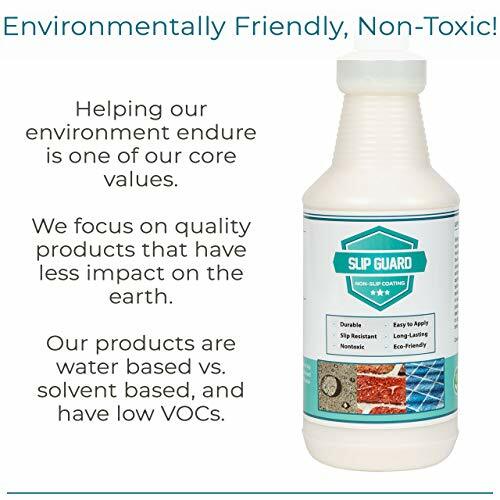 Our products are water based vs. solvent based, and have low VOCs. EASY TO APPLY AND FAST DRYING: The product can be used on porcelain, cast iron/steel, fiberglass, tile, and ceramic surfaces. This clear coating is easy to apply, fast drying and covers up to 75 square feet! 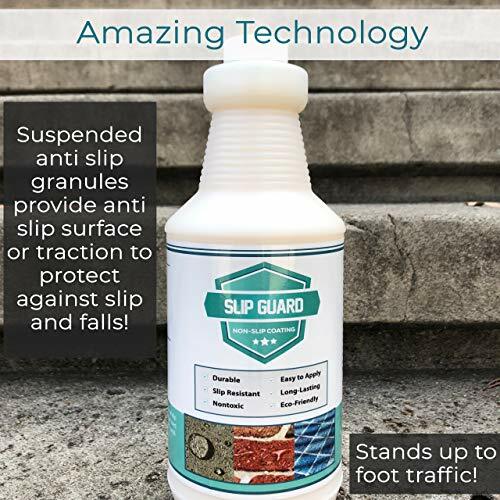 AMAZING TECHNOLOGY: Suspended anti slip granules provide anti slip surface or traction to protect against slip and falls! Stands up to foot traffic! 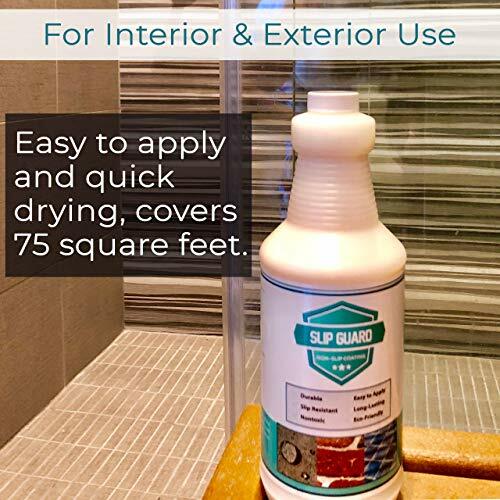 QUALITY PRODUCT: Used in hospitals, restaurants, hotels for multiple uses including slippery floors, pool/spa areas, tiled showers, driveway or concrete stairs, boat decks, and more!